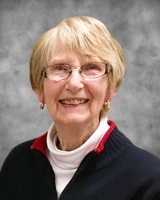 It is with great sadness that the family of Birgit Møller Bartlett (Sorensen) announces her passing at the Brampton Civic Hospital on Saturday, March 23rd, 2019 at the age of 82. Birgit was predeceased by her beloved husband Robert in 2007. Forever remembered by her children Robert (Shannon) and Kristine (Steve), grandchildren Shawn, Kylie, Mitchell and Julia, siblings Benta (Jack) and Ole (Joyce) as well as her many nieces, nephews, and friends. Family and friends will be received at Ward Funeral Home, 52 Main Street South, Brampton on Thursday, March 28, 2019 at 12:00pm with a memorial service following at 1:00pm. 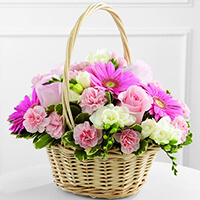 Consider providing a gift of comfort for the family of Birgit Bartlett by sending flowers. We encourage you to share your most beloved memories of Birgit here, so that the family and other loved ones can always see it. You can upload cherished photographs, or share your favorite stories, and can even comment on those shared by others. Randy, Jackie, Derek, Joani, Andrea,Darren & Emily purchased the The FTD Enduring Peace Basket for the family of Birgit Bartlett .